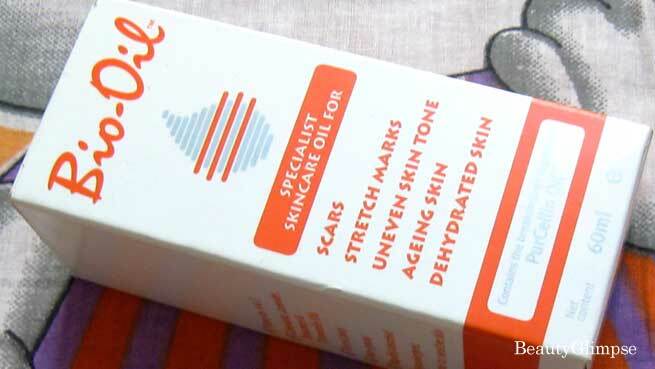 Bio-Oil Review - Can it Treat Scars, Stretch Marks & Uneven Skin Tone ? Bio-Oil Review – Do Not Miss It Before Buying! Bio-Oil is a specialist skincare product formulated to help improve the appearance of scars, stretch marks, and uneven skin tone. Its unique formulation, which contains the breakthrough ingredient PurCellin Oil, is also highly effective for aging and dehydrated skin. PurCellin Oil reduces the thickness of the Bio-Oil formulation and makes it easily absorbed. Bio-Oil can also be used for massaging the body, treating patchy skin, fading away pigmentation, protecting cuticles of fingernails, and so on. Alpha-Isomethyl Ionone, Paraffinum Liquidum, Citronellol, Cetearyl Ethylhexanoate, Isopropyl Myristate, Eugenol, Lavandula Angustifolia Oil, Farnesol, Rosmarinus Officinalis Leaf Oil, Hydroxycitronellal, Retinyl Palmitate, Tocopheryl Acetate, Parfum, BHT, Amyl Cinnamal, Coumarin, Benzyl Salicylate, Geraniol, Anthemis Nobilis Flower Oil, Hydroxyisohexyl 3-Cyclohexene Carboxaldehyde, Limonene, Helianthus Annuus Seed Oil, Triisononanoin, Glycine Soja Oil, Calendula Officinalis Extract, Linalool, Bisabolol, Cl 26100. Application: Apply twice daily for a minimum of 3 months. During pregnancy, apply twice daily from the start of the second trimester to areas that are prone to stretch marks such as the abdomen, breasts, lower back, buttocks, hips, and thighs. Price: Rs. 450 for 60 ml. Availability: It can be obtained online easily. But you may not find it in your local stores. 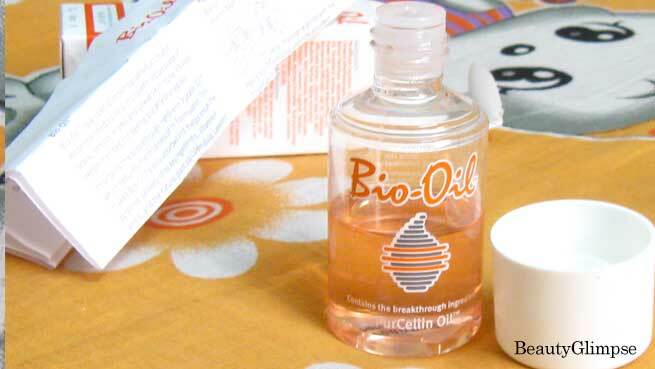 The actual bottle of Bio-Oil is placed inside a white carton and accompanied by an instruction manual (it even has diagrams demonstrating the application of the product). The bottle is not at all fanciful, but I really love its neat and sleek design. It is made of transparent plastic (you can always see how much is left inside) and the opening is covered by a huge white-colored screw-cap. Even though it is a small bottle, it is quite sturdy and completely leakage-proof. All these make it a good travel-friendly option. 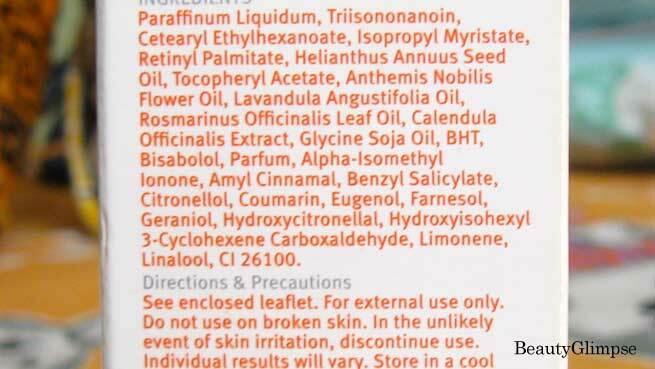 The most unusual thing I noticed about Bio-Oil is that it has a pinkish-orange tone, which turns completely transparent as soon as it comes outside the bottle. There is a very mild fragrance, which reminds me of herbal beauty products. The oil is very light in weight and its texture is absolutely non-greasy. No matter how dry your skin is, only a few drops will be enough to moisturize it efficiently. Moreover, it goes deep into the skin after a little massage (the manual shows how you need to move your fingertips gently in small circles) without leaving any oily residue. So, if your skin is oily to some extent, you can still use this one without looking like an ‘oil refinery’. 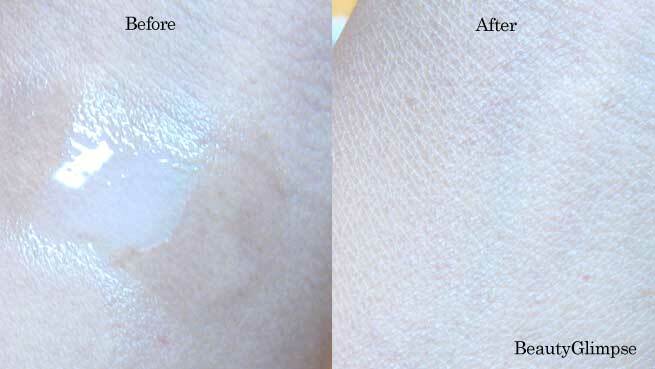 Bio-Oil is clinically proven and dermatologist recommended for scars and stretch marks. It is the #1 selling scar and stretch mark product in 18 countries and winner of 224 skincare awards. Apart from hydrating the skin, Bio-Oil can improve its elasticity greatly. It is a staple in my beauty stash since last 4 months and I found my skin to be firmer and well-toned after using it 2.5 months constantly. It has also faded my pimple marks and blemishes away, thereby giving me an almost even skin tone. Well, it definitely takes considerably longer time than others to show the results, but once they are visible you can’t anymore ignore this product. I’m yet to get any stretch or scar marls, so can’t comment on how it works for these. But the moisturizing and anti-aging qualities of the product are truly amazing. I’m loving it totally. Yes, yes, yes. Just grab your bottle today and you will be delighted to use it, I bet.